This is the final part of a guest post by Paul Lewis that originally appeared in the book Investigative Journalism: Dead or Alive? You can read the introduction here and the second part – on the investigation of Ian Tomlinson’s death – here. Mubenga’s death had been similarly “public”, occurring on a British Airways commercial flight to Angola surrounded by passengers. As with Tomlinson, there was a misleading account of the death put out by the authorities, which we felt passengers may wish to contest. Within days, open journalism established that Mubenga had been handcuffed and heavily restrained by guards from the private security firm G4S. He had been complaining of breathing prior to his collapse. After the investigation was published, three G4S guards were arrested and, at the time of writing, remained on bail and under investigation by the Met’s homicide unit. Our strategy for finding out more about Mubenga’s death centred on two approaches, both aided by Twitter. The BA flight, which had been due to depart on 12 October, was postponed for 24 hours, and by the time we began investigating the following day the passengers had left Heathrow and were on route to Angola’s capital, Luanda. Raising our interest in the story via Twitter, we asked for help in locating someone who could visit the airport to interview disembarking passengers. A freelance did just that, and managed to speak to one who said he had seen three security guards forcibly restrain Mubenga in his seat. We instantly shared that breakthrough, in the hope that it would encourage more passengers to come forward. At the same time we were publishing what we knew about the case, while being candidly open about what we did not know. The tone was necessarily speculative, and designed to encourage witnesses to come forward. So too were the tweets. “Man dies on Angolan flight as UK tries to deport him. This story could be v big,” said one. One reply came from Twitter user @mlgerstmann, a passenger on the flight who felt inappropriate force was used against Mubenga. He had come across the tweet – and then read the article – after basic Google searches. “I was also there on BA77 and the man was begging for help and I now feel so guilty I did nothing,” he tweeted. Within hours, his shocking account of Mubenga’s death was published alongside several other passengers who had found us via the internet. An interactive graphic of the seating arrangements on the aircraft was created, enabling users to listen to audio clips of the passengers give personal accounts of what they had seen. As with the Tomlinson investigation, verification, something paid journalists do better than their volunteer counterparts, was crucial. The fact the passengers had disseminated to remote parts of Africa – @mlgerstmann was on an oil-rig – explains why the only way to contact them was through an open, Twitter-driven investigation. But this methodology also poses problems for authenticating the validity of sources. Journalists are increasingly finding that a danger inherent in opening up the reporting process is that they become more susceptible to attempts to mislead or hoax. This is particularly the case with live-blogs which need regular updates, require authors to make split-second decisions about the reliability of information and take care to caveat material when there are questions. For journalists with more time, it is incumbent, therefore, to apply an equal if not more rigorous standard of proof when investigating in the open. In the Tomlinson case, when sources were encountered through the internet it was mostly possible to arrange meetings in person. That was not possible when investigating Mubenga, where there was an attempt by a bogus passenger to supply us false information. In lieu of face to face meetings, we were able to use other means, such as asking prospective sources to send us copies of their airline tickets, to verify their accounts. What the investigations into the deaths of both Tomlinson and Mubenga show is that journalists don’t always need to investigate into the dark. Through sharing what they do know, they are most likely to discover what they don’t. This entry was posted in newspapers, social media, twitter, user generated content and tagged crowdsourcing, investigative journalism, jimmy mubenga, mlgerstmann, paul lewis on November 2, 2011 by Paul Bradshaw. This is the second of a three-part guest post by Paul Lewis that originally appeared in the book Investigative Journalism: Dead or Alive? You can read the first part here. The investigation into Tomlinson’s death began in the hours after his death on 1 April 2009, and culminated, six days later, in the release of video footage showing how he had been struck with a baton and pushed to the ground by a Metropolitan police officer, Simon Harwood. The footage, shot by an American businessman, was accompanied by around twenty detailed witness accounts and photographs of the newspaper seller’s last moments alive and successfully disproved the police’s explanation of the death. The result was a criminal investigation, a national review of policing, multiple parliamentary inquiries and, by May 2011, an inquest at which a jury concluded Tomlinson had been “unlawfully killed”. At the time of writing, Harwood, who was on the Met’s elite Territorial Support Group, was awaiting trial for manslaughter. In media studies, the case was viewed as a landmark moment for so-called “citizen journalism”. Sociologists Greer and Laughlin argue the Tomlinson story revealed a changing narrative, in which the powerful – in this case, the police – lost their status of “primary definers” of a controversial event. Significantly, it was the citizen journalist and news media perspective, rather than the police perspective, that was assimilated into and validated by the official investigations and reports. Ultimately, it was this perspective that determined “what the story was”, structured the reporting of “what had happened and why” and drove further journalistic investigation and criticism of the Metropolitan Police Services. The initial account of Tomlinson’s death put out by police was that he died of a heart attack while walking home from work in the vicinity of the protests, and that protesters were partly to blame for impeding medics from delivering life-saving treatment. Neither of these claims were true, but they fed into coverage that was favourable to police. A public relations drive by the Met and City of London police was bolstered by “off the record” briefings to reporters that suggested – also wrongly – that Tomlinson’s family were not surprised by his death and upset by internet speculation it could be suspicious. These briefings contributed to a broader media narrative that endorsed police and criticised protesters. The morning after father of nine died, the newspaper he had been selling outside Monument tube station, the Evening Standard, carried the headline: “Police pelted with bricks as they help dying man.” But it was plain to us, even at an early stage, that there could be more to the story. The overlydefensive police public relations campaign gave the impression there was something to hide. Embedded in the small-print of press releases, there were clues – such as the Independent Police Complaints Commission’s notification of the death – that left unanswered questions. Most obviously, anyone who had ventured near to the protests near the Bank of England on the evening Tomlinson died would have known he collapsed in the midst of violent clashes with police. It seemed implausible, even unlikely, that the death of a bystander would not have been connected in some way to the violence. But pursuing this hunch was not easy, given the paucity of reliable information being released by police, who at times actively discouraged us from investigating the case. All that was known about Tomlinson in the 48 hours after his death was that he had been wearing a Millwall football t-shirt. That, though, was enough to begin pursuing two separate lines of inquiry. One involved old school “shoe leather”; trawling through notepads to identify anyone who may have been in the area, or know someone who was, who could identify Tomlinson from press photographs of him lying unconscious on the ground. That yielded one useful eye-witness, with photographic evidence of Tomlinson alive, with images of him walking in apparent distress, and lying at the feet of riot police 100 yards from where he would eventually collapse. Why was Tomlinson on the ground twice, in the space of just a few minutes? And if those photographs of the father of nine stumbling near police officers, moments before his death, were put online, would anyone make the connection? The answer was yes, as a direct result of the second line of inquiry: by open sharing information online, both through internet stories and Twitter, we became part of a virtual G20 crowd that had coalesced online to question the circumstances of his death. In this environment, valuable contributions to the debate, which were more sceptical in tone than those adopted by other media organisations, worked like online magnets for those who doubted the official version of events. Twitter proved crucial to sharing information with the network of individuals who had begun investigating the death of their own accord. I had signed-up to the social media website two days before the protest, and became fascinated with the pattern of movement of “newsworthy” tweets. For example, a YouTube video uploaded by two protesters who did not see the assault on Tomlinson, but did witness his collapse minutes later and strongly disputed police claims that officers treating him were attacked with bottles, was recommended to me within seconds of being uploaded. Minutes later, Twitter investigators had identified the protesters in the film and, shortly after that, found their contact details. Similarly, those concerned to document Tomlinson’s last moments alive, including associates of the anarchist police-monitoring group Fitwatch, were using the internet to organise. Through Twitter I discovered there were Flickr albums with hundreds of photographs of the vicinity of this death, and dissemination of blog-posts that speculated on how he may have died. None of these images of course could be taken at face value, but they often contained clues, and where necessary the crowd helped locate, and contact, the photographer. Journalists often mistakenly assume they can harness the wisdom of an online crowd by commanding its direction of travel. On the contrary, in digital journalism, memes (namely, concepts that spread via the internet) take their own shape organically, and often react with hostility to anyone who overtly seeks to control their direction. This is particularly the case with the protest community, which often mistrusts the so-called mainstream media. Hence it was incumbent on me, the journalist, to join the wider crowd on an equal playing-field, and share as much information as I was using as the investigation progressed. There were times, of course, when we had to hold back important material; we resisted publishing images of Tomlinson at the feet of riot police for four days, in order to establish properly their authenticity and context. Internet contact usually does not suffice for verification, and so I regularly met with sources. I asked the most important witnesses to meet me at the scene of Tomlinson’s death, near the Bank of England, to walk and talk me through what they had seen. We only published images and video that we had retrieved directly from the source and later verified. A different standard applies to sharing images already released on Twitter, where journalists such as National Public Radio’s Andy Carvin in the US have proven the benefits from sharing information already in the public domain to establish its significance and provenance. The break, though, as with most scoops, was partly the result of good luck, but not unrelated to the fact that our journalism had acquired credibility in the online crowd. Chris La Jaunie, an investment fund manager, who had recorded the crucial footage of Harwood pushing Tomlinson on a digital camera, had become part of that crowd too, having spent days monitoring coverage on the internet from his office in New York. He knew the footage he had was potentially explosive. The options available to Mr La Jaunie were limited. Fearing a police cover-up, he did not trust handing over the footage. An alternative would have been to release the video onto YouTube, where would it lack context, might go unnoticed for days and even then could not have been reliably verified. He said he chose to contact me after coming to the conclusion that ours was the news organisation which had most effectively interrogated the police version of events. It was more than a year later that my colleague Matthew Taylor and I began inquiring into the death of Mubenga. By then we had recognised the potential reach of Twitter for investigative journalism and our decision to openly investigate the death of the Angolan failed asylum seeker was a deliberate one. Not all investigations are suited to transparent digging, and, indeed, many stories still demand top secrecy. This has been true for the three outstanding UK investigations of our times: the Telegraph’s MPs’ expenses scandal and, at the Guardian, the investigations into files obtained by WikiLeaks and phone-hacking by the News of the World. However, Tomlinson had shown that open investigations can succeed, and there were parallels with the death of Mubenga. In the third and final part, published tomorrow, Lewis explains how he used Twitter to pursue that investigation into the death of Jimmy Mubenga, and the crucial role of verification. This entry was posted in newspapers, social media, twitter, user generated content and tagged flickr, Guardian, ian tomlinson, paul lewis on November 1, 2011 by Paul Bradshaw. In a guest post for the Online Journalism Blog, Paul Lewis shows how Twitter helped the Guardian in its investigations into the deaths of news vendor Ian Tomlinson at the London G20 protests and Jimmy Mubenga, the Angolan detainee, while he was being deported from Heathrow. 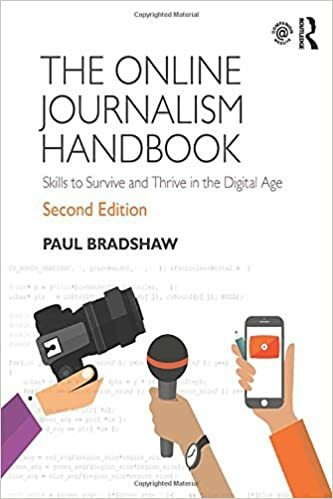 This originally appeared in the book Investigative Journalism: Dead or Alive?, which also includes another chapter previously published on the blog: Has investigative journalism found its feet online?. Investigative journalists traditionally work in the shadows, quietly squirrelling away information until they have gathered enough to stand-up their story. That silence reassures sources, guarantees targets do not discover they are being scrutinised and, perhaps most importantly, prevents competitors from pinching the scoop. But an alternative modus operandi is insurgent. It is counter-intuitive to traditionalist mind-set, but far more consistent with the prevailing way readers are beginning to engage with news. Investigating in the open means telling the people what you are looking for and asking them to help search. It means telling them what you have found, too, as you find it. 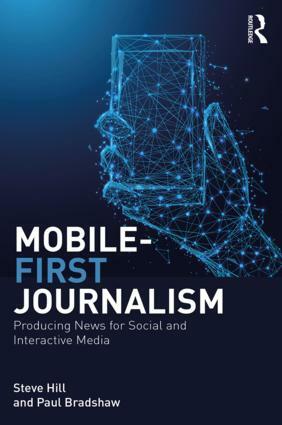 It works because the ease with which information can be shared via the internet, where social-media is enabling collaborative enterprise between paid journalists and citizens who are experts in their realm. Journalism has historically been about the hunt for sources, but this open method reverses that process, creating exchanges of information through which sources can seek out journalists. There are drawbacks, of course. This approach can mean forfeiting the short-term scoop. At times, the journalist must lose control of what is being investigated, how and by whom, and watch from a distance as others make advances on their story. They have to drop the fallacy that their job title bestows upon them a superior insight to others. But all these are all worthwhile sacrifices in the context of what can be gained. This is illustrated by Guardian investigations into the deaths of Ian Tomlinson, the newspaper seller who died at the London G20 protests in 2009, and Jimmy Mubenga, the Angolan detainee who died while being deported from Heathrow on 12 October 2010. In both cases, eliciting cooperation through the internet – particularly Twitter – allowed us to successfully challenge the official accounts of the deaths. In the second part Lewis explains how he used Twitter and Flickr to pursue his investigation into the death of Ian Tomlinson. This entry was posted in newspapers, social media, twitter, user generated content and tagged crowdsourcing, ian tomlinson, investigative journalism, Investigative Journalism: Dead or Alive, jimmy mubenga, paul lewis, twitter on November 1, 2011 by Paul Bradshaw.